This quick tutorial is going to show you how to change the display name of drives, partitions (under Devices) in the left pane of Nautilus file browser. 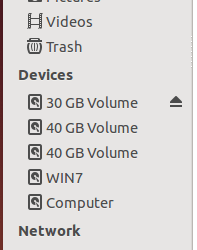 Besides Ubuntu 14.04, I have 4 other partitions in my laptop. However, the Nautilus file manager only displays them as “x GB Volume” and I was always annoyed to find out which is which! 1. 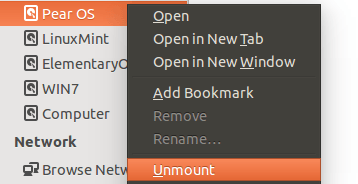 First make sure all the drives under Devices are unmounted in Nautilus file browser. 2. 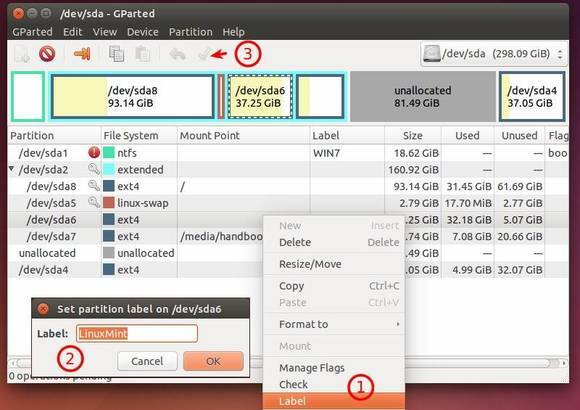 Search for and install Gparted in Ubuntu Software Center. On pop-up dialog box, give a name. Click the green check mark button to apply changes. Re-do step 3 on other partitions and done. 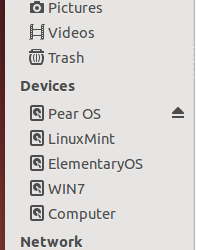 Any suggestions of what to do if the “Label” menu item is disabled? I’m not sure if this is because the drive I want to re-lable is hfs+ or what. As I know, the “Label” option is grayed out if you have the drive mounted.